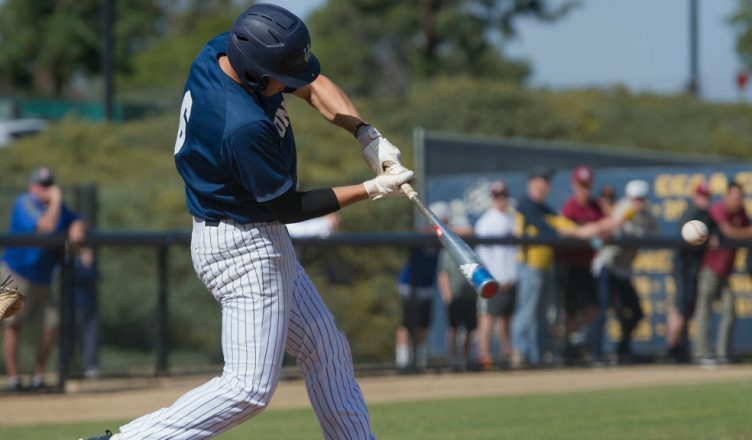 The UC San Diego baseball team began conference play, at home, against San Francisco State in a four-game series where they looked to get off to a winning start. The winning had to wait after the first game as the Gators took Game 1, 4–1, however the Tritons came back to win Games 2 and 3 to go into the final game with a chance to take the series. In the final game, UCSD held a 4–0 lead through four innings, but then came a woeful fifth inning as they gave up six runs to let the game slip away as the final score at the end stood at 7–5. Both teams had to share the honors on the weekend as they split the series at Triton Ballpark and both start off their conference season with a 2–2 record. UCSD fell short in the series opener as they had to settle for a loss as San Francisco took their opportunities in Game 1 leading to a 4-1 scoreline. The Tritons, surprisingly, struggled to get runners in as they left an eye opening 18 total runners on base, including bases loaded in the first, fifth, eighth, and ninth innings. Efficiency was key in the matchup as the Tritons had double the amount of hits the Gators did (10–5), however UCSD could only manage one run the whole game, while San Francisco earned four runs with half of the hits. Offensively, redshirt junior Alex Eliopulos led the charge as the third baseman hit four of five and one RBI. Besides Eliopulos, only one other Triton had multiple hits, redshirt junior Zander Clarke went two for four. Game 2 served as redemption for the Tritons as they had a similar game to Game 1, in terms of getting runners on base, but this time made most of the opportunity to crush Gators 10–2 in the first of the two games on Saturday. UCSD had 15 hits in the game and in their first opportunity of runners in scoring position, the opportunity was taken as they hit in two runs in the second to take an early 2–0 lead. The Tritons really got going in the third as they earned five runs to take a commanding 7–0 lead. In the end, both teams put in two runs in eighth to make it a final scoreline of 10–2. This time around, UCSD had five players with multiple hits, highlighted by junior Rj Prince as he hit three of five with two RBI’s. After a dominant display earlier in Saturday, the Tritons aimed to replicate the result and they did just that with a narrow 5–4 win. After going down 4–0, UCSD mounted a last minute comeback to earn back-to-back wins on Saturday’s seven-inning game. San Francisco State put two runs in the first to take the early 2–0 lead and it would remain the same scoreline until the fifth inning. The Gators added another two runs for what looked like the beginning of a dominant display; however, the Tritons had other ideas. The comeback would begin in the bottom of the fifth as the Tritons got two runs back to make it 4–2 and a manageable score going into the final innings. After no runs in the sixth, the seventh had plenty of drama as UCSD had a three-run rally to take the win. After a walk, a hit and a player hit by a pitch the Tritons had the bases loaded. Prince got things going with a hit down the middle to the pitcher, but the pitcher ended up slipping which put Prince on base and the score at 4–3. Once again, the Tritons found a bit of luck when Eliopulos hit the ball to the second baseman and could not get the ball out on time to make the out. With the error two runs came in for the Tritons to give them the win. In a letdown final game for the Tritons, the Gators took the Sunday 7–5 win to split the series over the weekend. Things began on the right foot for UCSD as they got off to a great start and looked to be on course to take the series win with a 4–0 lead through four innings; however San Francisco State had other plans. It all went downhill for the Tritons on the top of the fifth as the Gators had an incredible comeback with a six-run inning to put UCSD on the back foot. San Francisco then added one more run in the sixth to make it 7–4. In the final inning, the Tritons attempted a comeback once again, but could only get one run in before it was all over and done with. Next up for the Tritons, they will go up against Cal State Dominguez Hills in a split venue series starting on Thursday, Feb. 22. The first two games will take place at Triton Ballpark, then the series will conclude at Dominguez Hills.